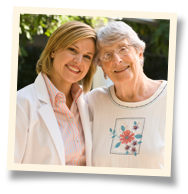 When it comes to choosing an in home caregiver to look after a loved one, many families throughout Oklahoma City, Yukon, and Reno, choose Visiting Angels® Oklahoma City OK. Families choose our agency for care because we provide high-quality professional assistance with a personal touch. We can offer your loved one compassionate aid without the complex emotions which are often involved when family members become caregivers. Call Visiting Angels Oklahoma City today and ask how an in home caregiver can help take the pressure off family members. Alzheimer's Care in Oklahoma City: When is it Time?